In an incredibly short amount of time, the way we consume video has drastically changed. Video is now one of the #1 ways people receive content. YouTube, Facebook, Instagram etc. are now covered in (sometimes) unique and stunning examples of professional and user-generated video content. This shift has driven more professionals to step their video game up a notch in order to deliver content our audiences crave. Now video content needs to be adapted to more than just televisions. The list of digital spaces we can share content on is only growing and, currently, shows no signs of slowing down. In order to continue to create or adapt video for each emerging platform, you should make sure you are utilizing at least one of these 3 technologies. Let’s start with the GoPro. Since the company went public in June 2014, no device, company or innovation had symbolized the surge of video usage we all experienced this past year like the GoPro. A point-of-view camera made famous by extreme sport athletes and risk-takers alike. 2014 was the year this mobile mini wonder expanded beyond the weekend warrior platform and went mainstream production with commercial and corporate pros behind the lenses. The camera became a force for transforming the way consumers and pros capture footage and express meaningful life events in video. GoPro has pushed not only its users but also the art and science of video production to new extremes during a year that ultimately showed production personnel and clients that the GoPro can serve as a powerful and even cost effective production tool. The company’s web site (gopro.com) touts that the GoPro enables people “to capture compelling, immersive photo and video content of themselves participating in their favorite activities.” Typically, those activities have been outdoors and involved athletic activities. Bloomberg.com, a financial web site, even noted that by mid 2014 there were 500million+ views on YouTube of GoPro generated video content. It’s important to note that most often, these are consumer-views. However, if we drill down deeper, filmmakers and Directors of Photography from all over the world along with corporate and commercial video pros are using the GoPro to capture some never before seen shots. Check out www.Vimeo.com for a deep pool of GoPro-created videos. In 2014, we’ve seen feature films like Need for Speed, cable shows like Anthony Bourdain’s Parts Unknown, and corporate video productions for manufacturing, training and marketing. In these productions, the GoPro has become a staple in the producer and videographer’s toolkit. And let’s not forget to mention quality… the GoPro can quite clearly hold it’s own when intercut with high-end production cameras. 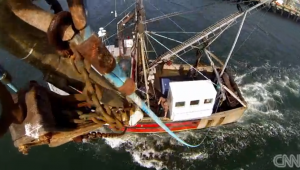 In a recent episode of Bourdain’s Parts Unknown produced by ZeroPointZero Productions, Bourdain and his crew outfitted a fishingboat working the waters of Cape Cod withfive GoPro units. The cameras, intercut with the compliment of cinema-styled Sony F5’s and 55’s, captured stunning point-of-view imagery of the boat dipping in and out of seas, high and wide-angle views of the boat’s deck from above and unique perspectives from the Captain’s wheel as the boat headed out into even deeper waters. The GoPro camera is like no other before because it goes where most do not or “cannot” go –on helmets, cycles, torsos, in places the size of a coffee mug, in environments where the air is thin or the water is deep and even strapped on and bouncing on top of animals’ heads. A great example can be found in To Climb An Iceberg, part of the Adventure in Life 4k series www.youtube.com/watch?v=0kBjb1yfabI. 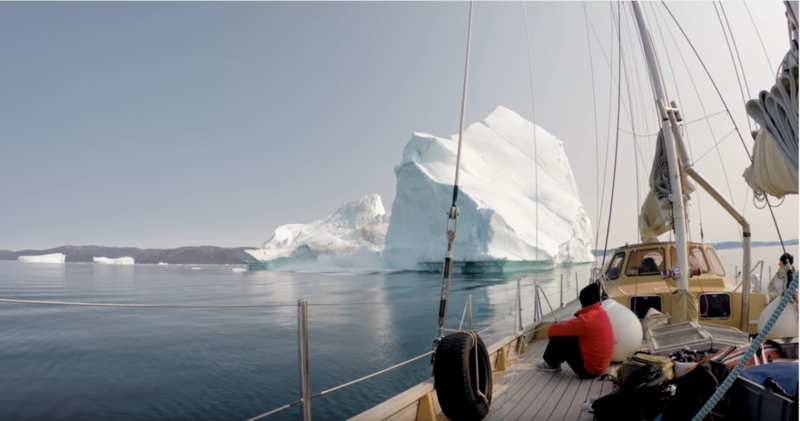 The filmmaker’s ventured through dangerous arctic waters in Greenland’s Disko Bay looking for the ultimate iceberg to capture on video and send home. The GoPro’s and their videographers risked their lives and pushed their limits climbing fragile icebergs. Shot 100% on the HERO4® camera, we see one more dramatic example of how and where the GoPro is taking us. How about flight? UVACs (unmanned video aircraft carrier technology) also notoriously known on the streets as the aerial drone, is our second force that keeps video rolling into 2015. UVAC simply means a drone unit is holding or strapped to a GoPro, DSLR or larger camera. Let’s just say this technology really took off in 2014 (pun intended). British filmmaker and video guru Phillip Bloom, known for his DSLR filmmaking, blog and workshops, says he loves flying a GoPro mounted on his DJI Phantom 2 quadcopter, and, “How freeing it can be” even comparing it to his dreaming of being an astronaut (source: Digital Filmmaker Issue 18). More and more, video production pros are using this birds-eye tech to grab shots that typically would have been off limits due to cost or capability- shots that in most cases would have been attempted using a camera crane or even pricier – helicopters. Today, however, it’s getting more and more commonplace to use UVACs to shoot aerial footage for commercial purposes like real estate marketing, outdoor events, travel videos, training videos, wildlife conservation videos and even as delivery vehicles (as we’ve seen with industry leaders like Amazon.com). But to experience the freedom Bloom speaks of, professional UVAC operators are working hard to gain experience, record training flight-time and seek out clients. And, on a positive note, never before have we seen pilots flying with such an eagle-eye on safety. Prior to October 2014, UVAC regulations permitted use only for personal applications or hobbies. Commercial and paid use of UVACs was banned. However, on September 26, 2014, the FAA granted rights to use UVACs in commercial applications to 6 production companies giving certain exemptions and special status specifically for the purpose of aerial (source: Wikipedia). As UVACs become commonplace, we are beginning to see more structured and safer use of UVACs with much needed governmental guidance in the works at the same time. Today, video production pros and firms like us have expanded on and embraced UVACs for commercial and marketing use. For us at, Apple Box Studios, we’ve been getting high over beautiful, city landscapes, tall and detailed architecture and buzzing street ways with UVAC technology. In fact, you may have even come across one of Pittsburgh’s 2014 viral videos, Mighty Beautiful Pittsburgh, a spot for Visit Pittsburgh and produced by the Apple Box crew.UVACs gave us the ability to capture Pittsburgh’s mighty beauty from all angles. As the video proved positive, utilizing UVACs is a powerful tool for destination marketing, one of our main services at the Box. 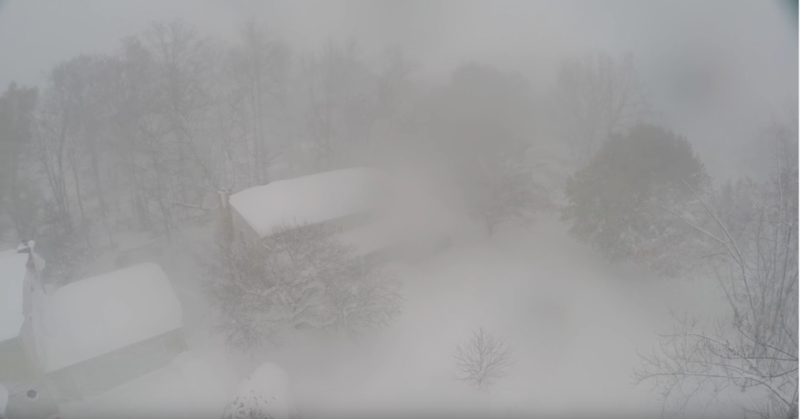 We can point to a dramatic example of the growing UVAC phenomenon as in the case this past Fall in the Northeast U.S. when videographer James Grimaldi used his UVAC to capture the first major snowfall of the season in West Seneca, NY. A storm had hit Southern Buffalo and its southern-most towns killing 14 and covering the region in more than seven feet of snow. The storm created a surreal landscape and from high above Grimaldi’s drone brought a magical view on unplowed streets, buried vehicles and a treacherous Arctic landscape. Grimaldi published the footage on YouTube showing the world his UVAC in action as the unit flew through a garage door and out across snow-covered neighborhoods. The footage is breathtaking and can be seen below. Not only did Grimaldi seem to capture the attention of the world with his now classic “snow flight”, he shot the footage with the help of a GoPro shooting 4K footage. 4K. The third force fueling video’s growth. If you open up almost any television and film production magazine today, you’re bound to see at least one article showcasing 4K resolution cameras and tools. 4K is in. 1080P is fading. In fact, one of the many new podcasts being published for producers, videographers and directors, 4K Shooters, is heralding the new wave of high-resolution 4K production tools and viewing displays. 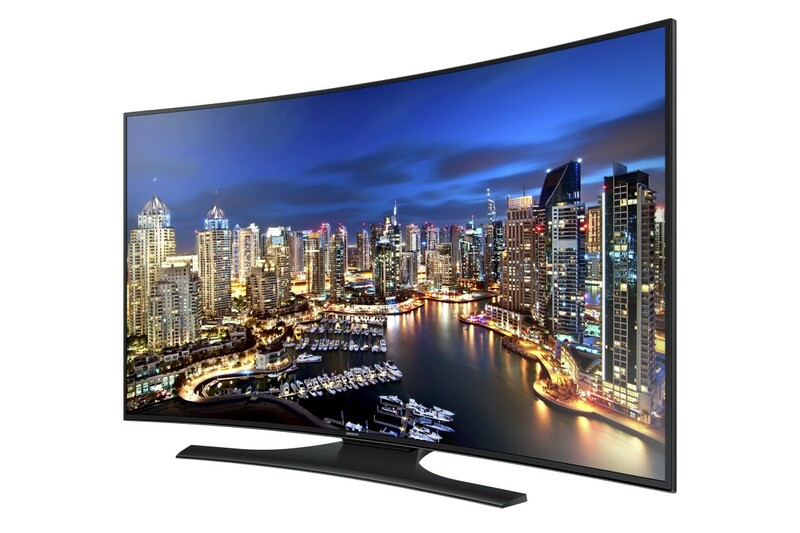 We saw many ads this past holiday season pitching 4K television sets for consumers. Although 4K viewing is slowly becoming a player, networks, studios and producers like Sony Pictures Television, Netflix and director Peter Jackson (Lord of The Rings and Hobbit trilogies), believe it makes sense to shoot in 4K because the cost is low and because it’s always best to have as much resolution as you can. (source: tvnewscheck.com) Having said that, until producers and distribution networks make 4k programming available, 4k will most often be down-converted to 1080P or 2K formats (source: wikipedia.com). The good news for 4K shooters is that both YouTube and Vimeo’s are making 4k content platforms available to consumers and pro’s. Although currently limited to mostly nature documentaries and tech coverage, 4k content production and usage online is expected to grow, and as of 2014, Vimeo PRO members and Vimeo On Demand sellers can allow people to upload and download 4K video files. Creators have been able to upload in 4K for some time, but now these files can be downloaded and played on high-end, 4K-compatible displays (source: vimeo.com). What’s the bottom line for our three powerful video industry drivers? These are tools that help our clients and our projects push the bar higher. With new point-of-view technology like the GoPro and the strong embrace of commercial and industrial applications for the UVAC we’re getting wider and more compelling aerials and ground shots than ever before. Drones are soaring and as long as we’re safely operating them when we’re after the next great shot from above, they’ll continue to be a go-to tool along with 4K production that offers the production pro of today, more resolution, color and vantages than we could have ever imagined. Did we miss anything? Share your thoughts on our Facebook page!